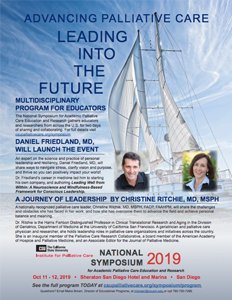 Advance palliative care education and be inspired by leadership expert Dr. Daniel Friedland and palliative care visionary Dr. Christine Ritchie! Expand your reach and enhance your work. Submit an abstract for a plenary, workshop, panel, paper, or poster session! Deadline is March 31! 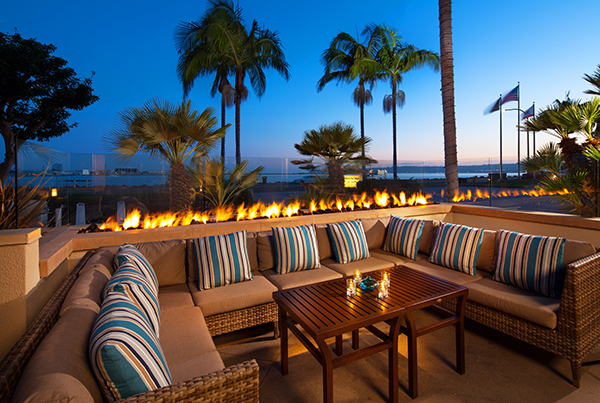 Reserve your room to secure our discounted conference rate at the San Diego Sheraton Hotel and Marina on San Diego’s gorgeous Harbor Island. The National Symposium for Academic Palliative Care Education and Research is the premier gathering of palliative care professionals devoted to advancing palliative care education and research with the goal of improving care for those with serious, chronic, or life-threatening illness. The National Symposium features internationally-renowned plenary speakers, an array of concurrent sessions on the latest developments and best practices, and many opportunities to network with peers. The National Symposium will be of interest to college and university faculty, healthcare practitioners, post-doctoral fellows and students, and anyone engaged in designing and delivering curriculum, performing research, or providing instruction and oversight of professionals in training. The CSU Institute for Palliative Care’s mission to increase access to and awareness of palliative care by creating educational and workforce training to improve palliative and end-of-life care. 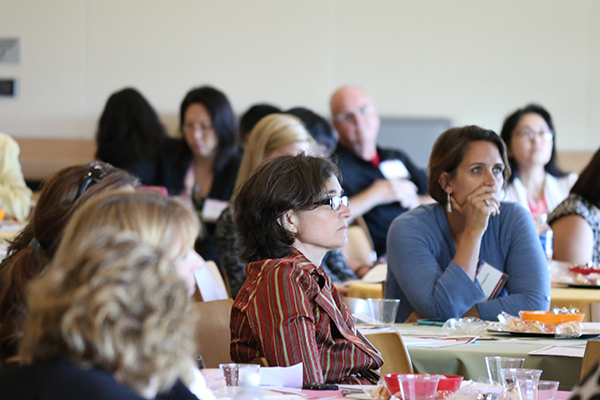 Now in its fifth year, the Institute convenes the National Symposium to host thought leaders in palliative care scholarship so palliative care concepts are woven into academic, clinical or non-clinical education where future professionals’ expertise in palliative care is cultivated. Be sure to review this website often for full details on our keynote speakers, the agenda, travel details, how to register, and more. Whatever your discipline, whether you’re a health care-related scholar, a clinical educator, instructor, or preceptor, or from fields such as technology, arts, communications, or more, come share and discuss your instructional and research approaches for anticipating, preventing, and treating suffering in people with serious, chronic illness. Bring your innovations and challenges. Come explore with colleagues and learn about the latest educational approaches and research in palliative care! The 2019 National Symposium’s theme is “Advancing Palliative Care: Leading Into the Future.” A robust and diverse combination of plenary speakers, workshop presentations, paper sessions, and poster sessions will highlight exciting evidence-based approaches and strategies for enhancing palliative care teaching, research and practice, and will inspire attendees to explore the leader within themselves. Concurrent sessions will feature educators from across the country who will share their innovations and advancements, giving attendees tools that they can immediately use in their work. 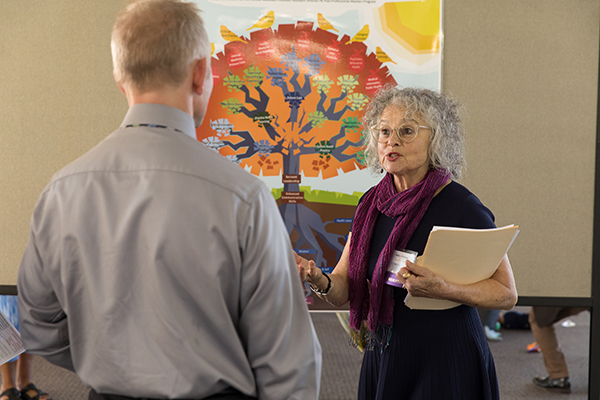 There will be ample time built into the agenda to network with colleagues and supporters, enabling participants to expand their research collaborations and resource connections. The National Symposium for Academic Palliative Care Education and Research gathers academicians and clinicians from all over the US and several foreign countries. Attendees are physicians, PA’s, advanced degree nurses, social workers, psychologists, ethicists, allied health professionals, chaplains, and more. The multidisciplinary conference, held annually in San Diego, has a dynamic agenda of plenary, paper, panel, and workshop sessions, with a poster reception, which showcases innovations and tools for incorporating palliative care concepts into research, courses and experiences at all educational levels. Individuals with disabilities, who would like to attend this event, please contact the Symposium Coordinator at 760-750-7289 regarding any special accommodation needs. It is requested that individuals requiring auxiliary aids such as sign language interpreters and alternative format materials notify the event sponsor at least seven working days in advance. Every reasonable effort will be made to provide reasonable accommodations in an effective and timely manner.